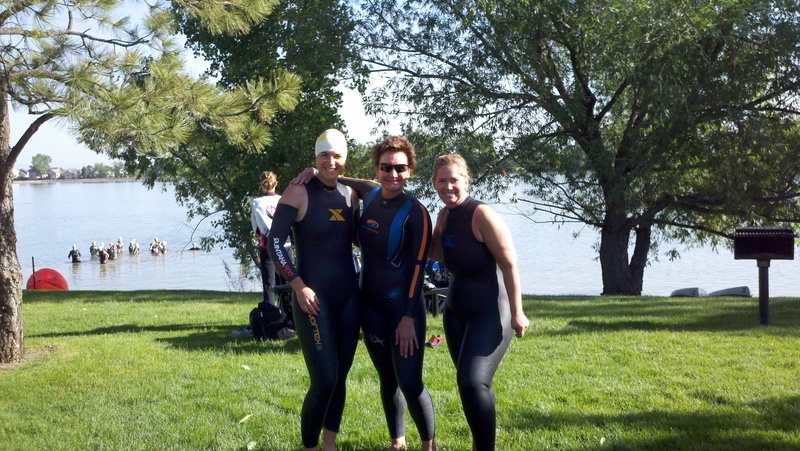 My 2nd open water swim practice of the season occurred in Grant Lake this past weekend in preparation of my 1st event of the 2012 TRI season—Greeley Sprint Triathlon on June 10th. It seems my beloved BlueSeventy Helix has developed a small hole along a seam. Never mind that it is only one year old and intended to be my ONLY wetsuit. In reviewing the warranty information on www.blueseventy.com I saw that their wetsuits are under warranty (repair or replace) for 1 year from date of purchase, or 2 years if you register it (which I hadn’t bothered to do…darn it!). I knew I had purchased it in June of 2011 but was it within the one year window? Luckily, my purse is like a filing cabinet of receipts; all well-organized and categorized. OK, maybe that’s a slight exaggeration, or just a complete lie from an organization perspective, but I do have about 3,000 receipts some of which could be considered antique documents buried in the bottom of my purse. Unfortunately, my wetsuit purchase wasn’t one of them…darn it! So, I contacted the friendly people at Runner’s Roost in Lakewood, Colorado where I purchased the wetsuit and since it was a special order a copy was on file. And, drum roll please…one year warranty was still in effect! So (fingers crossed), given the fact that I have carefully followed instructions on wetsuit care, my suit would be either repaired or replaced. Now the question was what to do for my upcoming event? Swim in a wetsuit that was about to go in for repair and risk further damage or heaven forbid a wetsuit blowout? Swim in a loaner wetsuit model that I hadn’t ever trained in…ignoring my “nothing new on race day” mantra? Swim without a wetsuit in 70.2 degree water…brrr? ANSWER: None of the above @CoachCary to the rescue! Cary is loaning me her BlueSeventy Helix, same size as mine. Problem solved! This entry was posted in It's NOT the Destination...It's the Journey and tagged blueseventy, triathlon, wetsuit. Bookmark the permalink.